Designing in a wide variety of mediums is our passion. 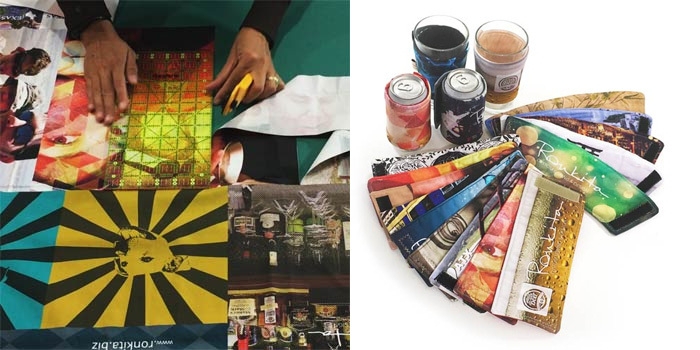 Whether it’s constructing pieces out of fabric, forming objects out of wood, or creating digital layouts. This experience also enables us to design and create seamlessly across mediums when working on various projects. 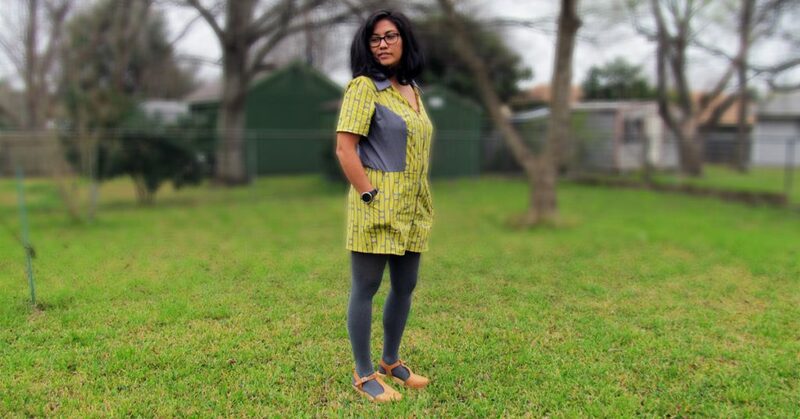 We’ve collaborated with many clients on turning their designs into custom fabric for their unique items, and now we’re launching a line of fabric based on our designs. Michael has worked in graphic design for over 20 years, creating for digital and print, and now he’s applying his expertise to textile design to develop our custom fabrics. Our designs are inspired by the people and places we visit, things that are important to us, and styles we like. You’ll see this reflected in the first batch of designs, particularly our appreciation for the outdoors, with a variety of woodland creatures and nature elements interspersed throughout the designs. 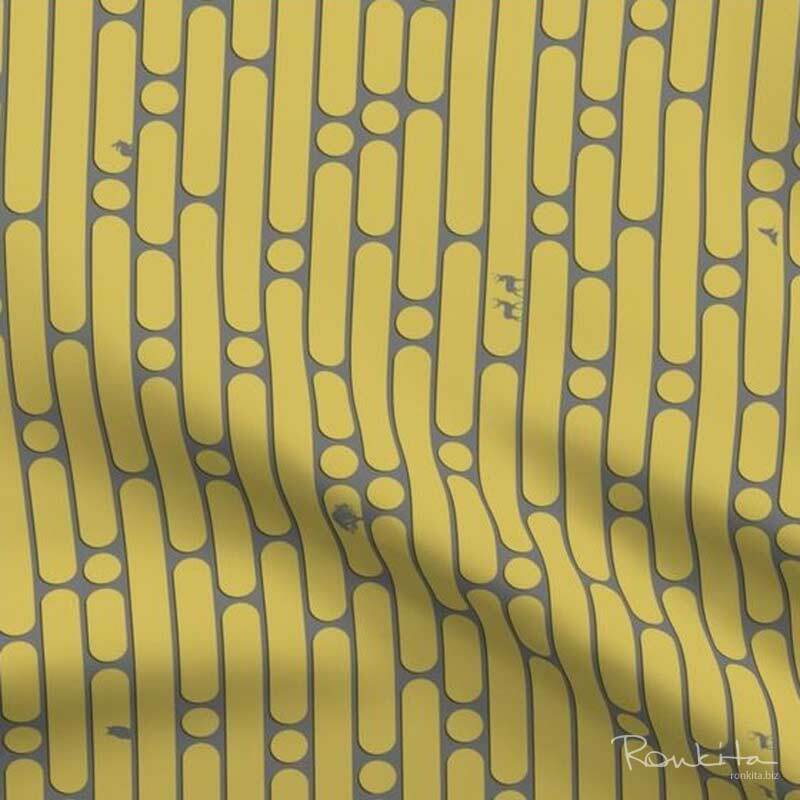 To kickoff the new line of fabrics, the first design is a dashed, vertical stripe, in gray and mustard. It has a bit of a retro feel, and you’ll find nature elements placed throughout. You can buy this on Spoonflower as fabric, or as wallpaper or gift wrap. You’ll also find this fabric design, and more as we release them, in our shop. Sign up for our newsletter to be the first to learn when new fabrics are released. 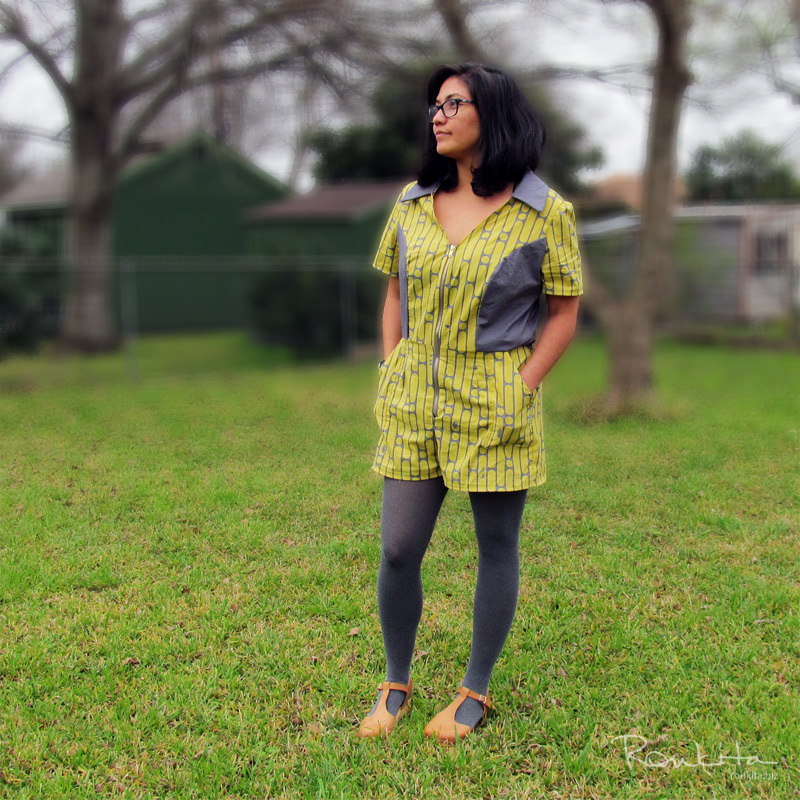 To showcase the release of this new fabric design, I created this custom jumper. 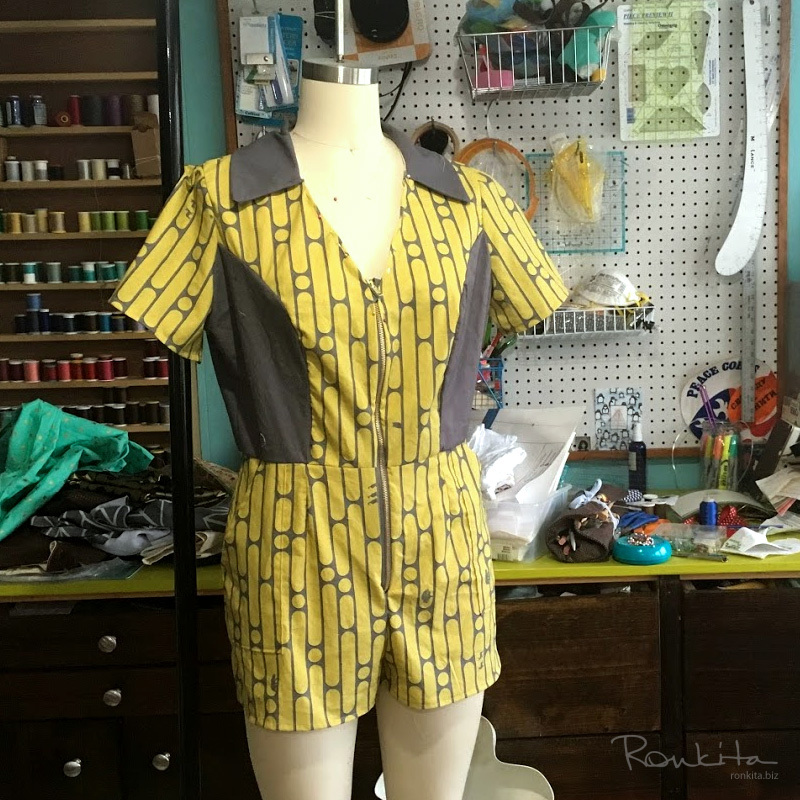 I like to wear clothes styled off fashions from the 50’s, 60’s, or 70’s, and that’s where we started when reviewing patterns for this project. 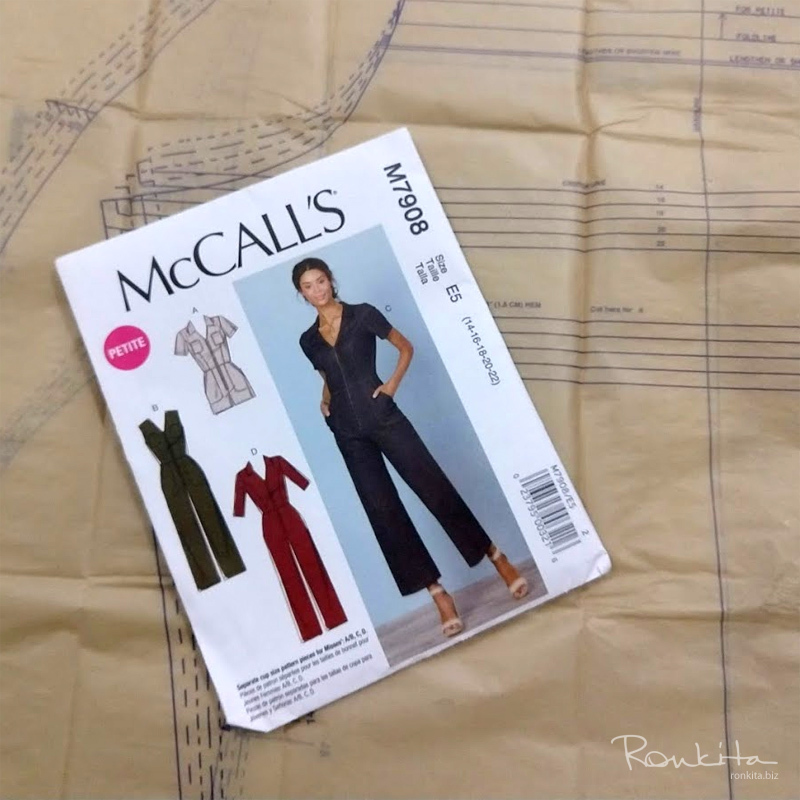 Narrowing it down from several options, we chose this pattern from McCall’s (M7908). It’s a classically styled and versatile jumper, that’s super comfy, and has pockets! 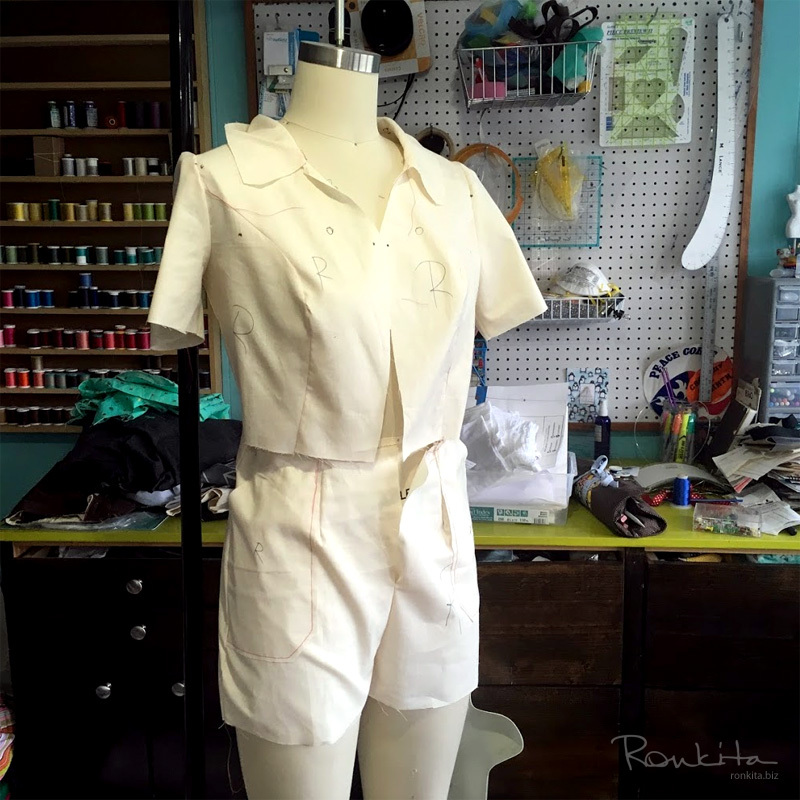 Since we manage all parts of the design, from the fabric to construction of the garment, we’re able to customize almost every aspect of the finished piece. 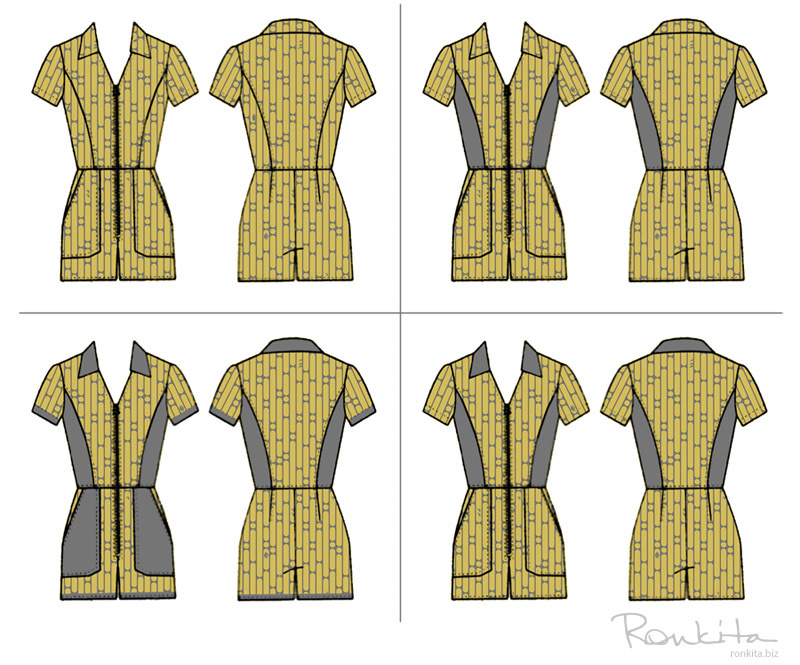 With the jumper pattern selected and fabric design in place, we could then preview how the fabric will all look when made into the garment. This enabled us to make adjustments to size and placement of specific elements within the design, if needed. We also explored color blocking options to see how different directions look before constructing the garment. I usually create a test piece first to make sure everything looks and fits the way I want before I work with the final materials. The ability to personalize your wardrobe, décor, gifts, and really almost any sewn item has reached new heights by using custom fabric. This enables you to add your own personal style from artwork, photos, branding, and other graphics. 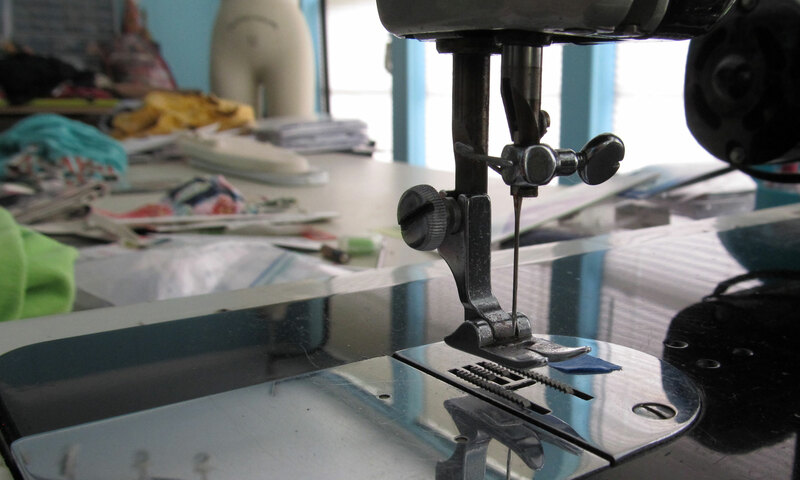 As part of our custom sewing service, we can work with you on designing the fabric, as well as the creation of finished pieces using the fabric. You can start with any of our fabric designs and we can modify them as you need, like changing the colors, replacing graphics, or even adding new graphics. We can also start from scratch and work with you to create entirely new designs. Learn more about custom fabric design, custom sewing services, or contact us with any questions.